Jaded Blossom: Guest Designer Jessica! Today I am so excited to share with you my Guest Designer Day at Jaded Blossom! 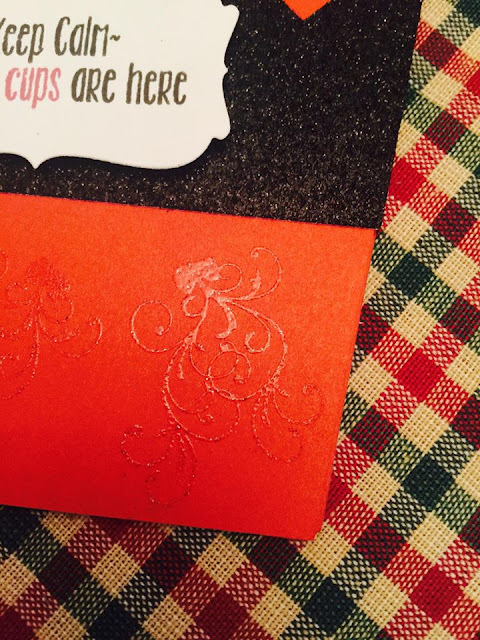 I am super excited to share a fun little project I made for Bran's teachers at school using a few Jaded Blossom Stamps and Dies! 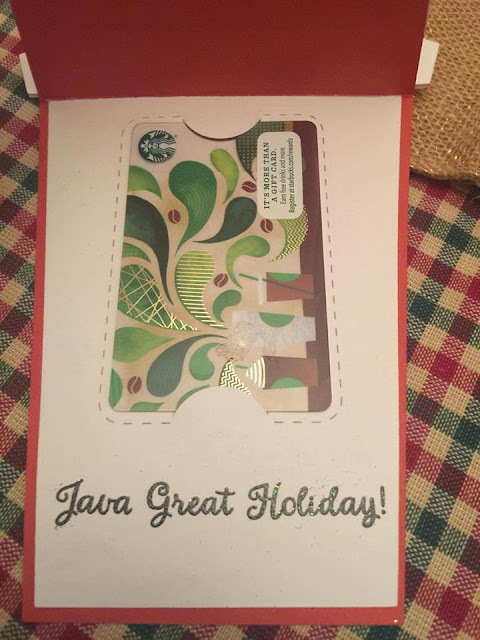 I know Bran's teacher LOVES Starbucks as much as I do so I knew a gift card was in order, but I also wanted to give something home made as well. 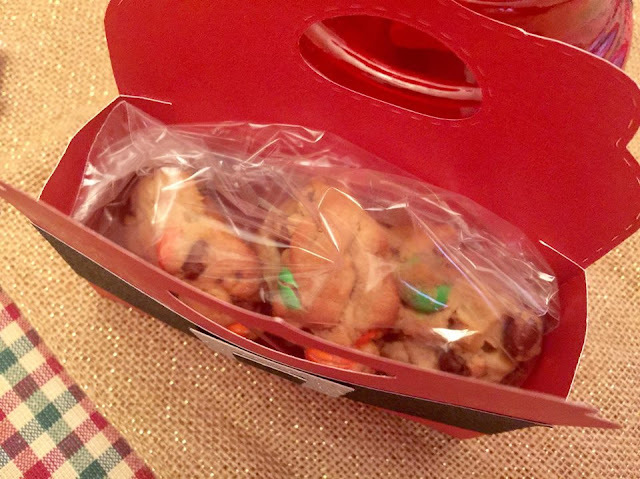 So, I used the "Candy Caddy", which I have been thinking of how to utilize it for such a way that I could hold some of my homemade cookies. 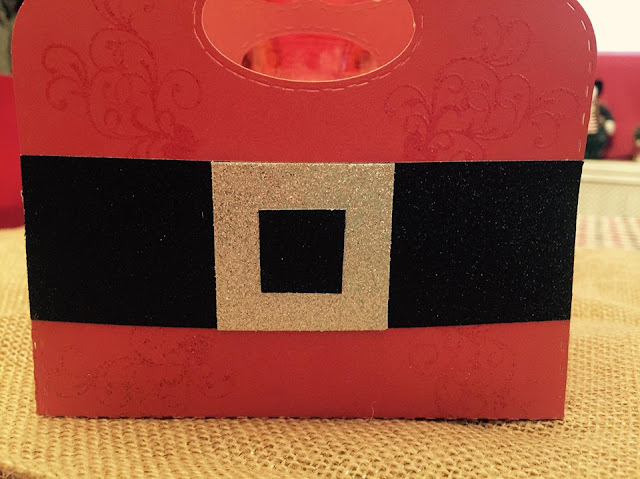 I used Cranberry Cardstock, Black Glitter Paper, and Silver Glitter Paper from my Close To My Heart store to make my Candy Caddy look like Santa Claus! 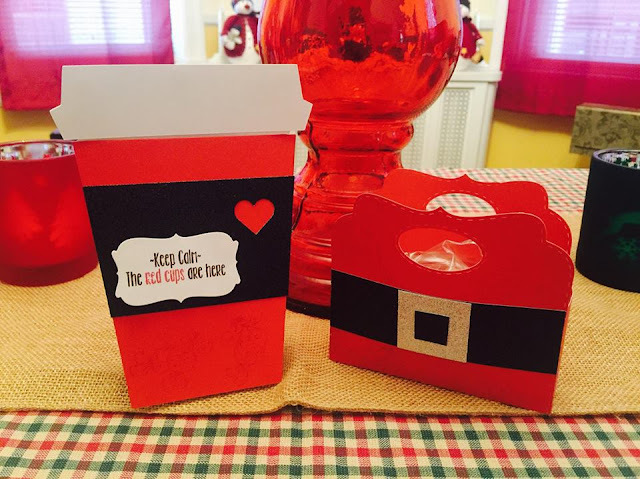 I also made a Coffee Cup Gift card Holder on my Cricut to go with the Cookie Holder Candy Caddy. I utilized the Close To My Heart Artistry Cricut Cartridge to and Design Space to create my flip up card. I used the "Gift Card Holder Die" to make the slot to hold a Starbucks Gift Card. The awesome stamp on the front of the card came from "Happy Brew Year" stamp set, which is just AWESOME! I used the Christmas Wishes stamp set (the deer stamp) to make the swirl designs on the cup and box, which were then embossed. To get just the antlers to be my stamp, I masked the rest of the deer before I stamped it in the versamark ink. I sure hope these little gifts give Bran's teacher a big smile when he gives it to her!! Have a great holiday all!!! these are great! i bet she will love it! I love the Santa's belt - so cute ! Awesome gift set ! His teacher is going to love it!!! Super yummy treats for the teacher! Awesome job! Both are great! I bet Bran's teacher loved her gift! You did a great job. Love the Santa designs. too cute!